Lewis Evan Jones (1825 – 1910) — A Brief History of Cedar County, Nebraska, Read July 4, 1876. The following is a faithful* transcription of a photocopied document I received from D.L. Bond, of Raleigh, N.C., one of several documents among the papers and family history documents associated with Lewis Evan Jones Jr. (1825 – 1910), of Wynot, Nebraska. The original (from which the photocopy was taken), was a type-written manuscript numbering 8 pages, with author (compiler) indication at the end of the document as L.E. Jones. 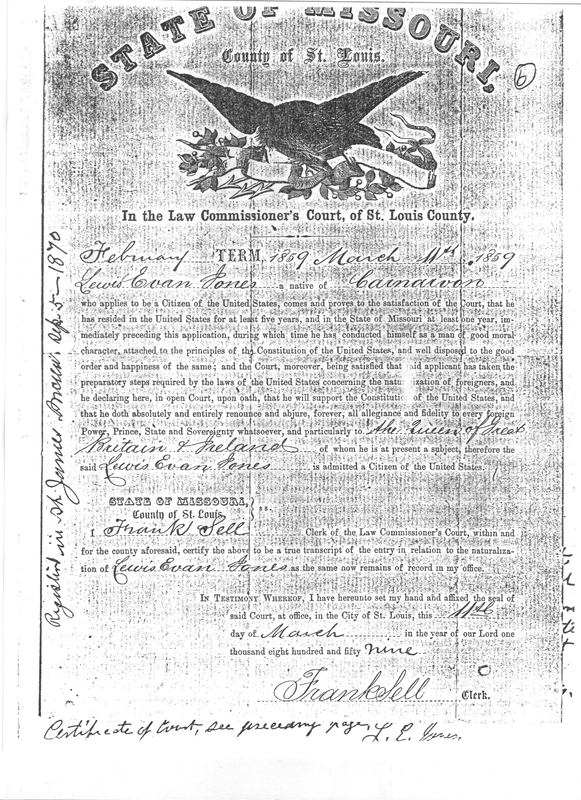 In addition to these 8 pages, was a photocopy of what appears to be the original naturalization papers of Lewis Evan Jones Jr., including a certificate issued by the State of Missouri in 1859, and a handwritten document accompanying it. I have transcribed both and included scans of both for this record. Beyond the attribution of L.E. Jones, no other author or compiler is credited except within the body of prose. No date is recorded on the document to indicate when the transcription from the primary source was made. If anyone has any information on the original transcriber or the location of the primary source material for these documents, please contact me so I may include it with these records. *Where obvious typographical errors due to miss-keying have been introduced into the prose by the transcriber/typist, I have taken the liberty of correcting these mistakes. Where words are obviously missing and can be interpreted by context, I have included them in parenthesis, in (italics). Where other mistakes are apparent, see notes at end of article preceded by asterisks. All caps and odd grammar, abbreviations, and punctuation or lack there of are as they appear in the original transcription. The Congress of the United States having passed a resolution requesting that each county through out the whole country cause a history of their respective counties to be written out and that said history be read on the Fourth day of July of the present year – The one hundredth anniversary of our existence as an independent nation. The President of the United States and the Governor of the State of Nebraska also issued their proclamations urging the people to comply with the request of Congress and have said history recorded in their respective counties and that a copy be also sent to the Librarian of Congress to the intent that a complete records may thus be obtained of the progress of our institution during the first Centennial of their existence. 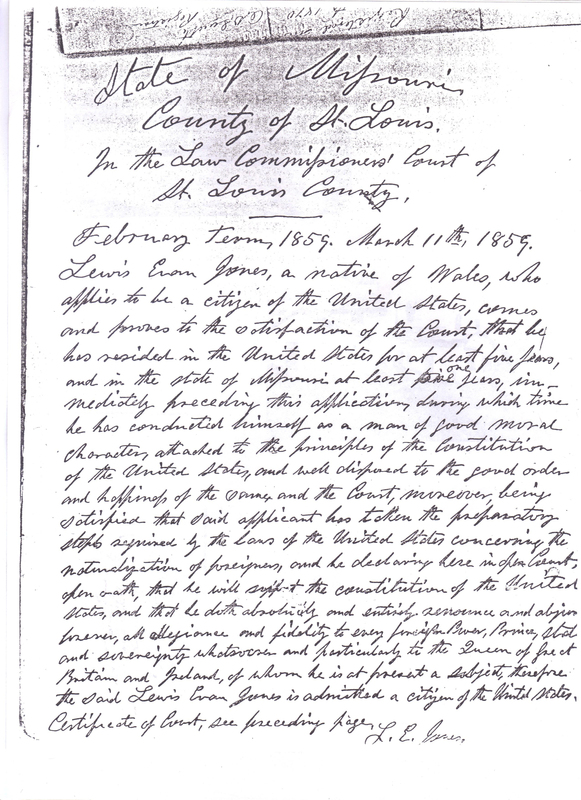 In compliance of their request the citizens of Cedar County met in convention at the court house in the town of St. Helena on the 20th day of May last (1875) and appointed the undersigned to write said history in accordance with the wish of the convention. I, Lewis E. Jones, hereby submit the following as the history of Cedar County to the best of my knowledge. As to its correctness there can be no doubt, as most of the items are taken from the records of the county. Organization by an act of Congress passed on the 30th day of May A.D. 1854. The people who then occupied the unorganized Territory of Nebraska were authorized to form territorial Government, which was accordingly done the same year and by an act of the Legislature of the Territory of Nebraska approved February 12th 1857 the county of Cedar was formed, the boundaries of which have been changed by subsequent legislation. The Governor appointing as temporary seat of justice a place then known as St. James lying below the mouth of the Petite Arc (Bow Creek) on the Missouri River. First Settlement. During that year (1857), the first few settlers arrived in Cedar County and located in the neighborhood of St. James. Among those early pioneers who are still in the county we will mention the names of a few. C.C. Van, Jas. Hay, O.D. Smith, Saby Strahm, Hanson Wiseman, John Andrews, Henry Ernest, Gustavus and Herrman Ferber, together with their venerable father, Paul Ferber. This colony emigrated from Harrison County, Iowa. OTHER SETTLEMENTS. The following spring the settlements of Waucapona and St. Helena were organized and land taken up under “Squatters Sovereignty”. Among those who settled in Waucapona and still residents of the county we found Warren Sanders, Geo. A. Hall and Amos S. Parker. At this time I am not aware of but one person living in the county who was at St. Helena during that spring, P.C. Nisson. In July of that year the writer of this landed in Cedar county and together with some others surveyed and platted the town of St. Helena. The following spring, 1859, Henry Felber, with his three sons, Henry, Jacob, and William, Peter Jenal Sr., and Peter Jenal Jr., together with my own family arrived in St. Helena by boat from St. Louis, Mo. C.B. Evans and sons arrived also at St. Helena during the summer of 1858, from Council Bluffs, Iowa. About this time, or it might have been a short time previous few settlers located in the northwest corner of the county, nearly opposite “Strike the Ree’s Camp”, the now flourishing town of Yankton, which was then occupied by the Yankton Band of Sioux Indians. In that settlement we discovered but one person, Saby Strahm, the founder of that prosperous settlement and one of the first pioneers of the country. During that same year that locality was strengthened by acquisition of several new settlers among whom we still find John and David Nelson, Ambrose Ambrosen, Ambrose and Ole Anderson. Several others located in the county about this time. The most important acquisition in the fall of 1861 was the arrival of J. Lammers, G. Kohls, B. Wubben, Stephen Klug, B. Suing, J. and F. Weisler, and G. Arands who purchased out old settlers and located on one of the Bow Creeks about two miles south of St. Helena where they are still living and prosperous. They also built the first church that was built in the country in the center of their settlements which has been the means of building up a flourishing community. SLOW WORK. For many years the settlement of the country progressed very slowly in fact barely holding its own for the very reason that many of the first settlers as is the case in most new countries, came here, took up the best land, located town sites, remained until the land was surveyed by the general government, then either sold out or entered their lands and left for parts unknown. For many years there were as many departures as there were arrivals. INDIANS. Another drawback on Cedar county, as well as the surrounding counties, was the dread of hostile Indians. 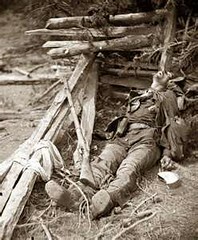 Immediately following the dreadful massacre at Mankato, Minnesota, a whole family of five children, those of Mr. Wiseman, near the settlement of St. James, were most brutally slaughtered by their inhuman friends. * This occurred in 1863. Dr. Lorenzo Bentz was also killed the following spring in 1864, a few miles northwest of St. Helena. STAMPEDE. During the summer of 1864 the great stampeded took place. News was brought here by refugees who were fleeing, as was then supposed, before the ten thousand warlike Indians. The whole inhabitants of the country lying west of this were thus seeking safety in flight. A nasty consultation took place among the few and scattered settlers of this county. The result was that four families, those of the writer hereof, P.C. Nisson, Henry Ferber, and Jacob Brauch, decided to fortify themselves as best they could (in Felber Tavern) in St. Helena, whilst the settlers around St. James went to work immediately and fortified themselves in the then temporary court house by throwing up sod embankments and after strengthening their little fortification. Thus, these two little bands, expecting every moment to be attacked by an overwhelming force of savages were imprisoned within the walls of their little posts. Thanks be to the allwise Providence the massacre was, for some cause not known to us, never carried out, but we have good reason to believe that it was carefully planned. The citizens of Yankton at the same time rapidly fortified themselves around the principal hotel in that place, momentarily expecting to be attacked. Whilst the children of Mr. Wiseman were killed, he himself, together with several citizens of this country had volunteered in a military company as Home Guards, expecting to defend their firesides, but were ordered to join Suly’s expedition against the Indians. Thus our thickly settled frontier was deprived of several of our best men during those troublesome times. Those of our citizens who had left the country during that memorable stampede returned home in a few days but all danger was not considered fully passed. Quite a number of Norwegian families of Dakota Territory also crossed the Missouri River at St. Helena for the protection. Thus the small colony was reinforced and felt much relieved by the acquisition thus gained to their numbers. The attack was never made but greatly retarded immigration to this part of the state. During the year 1864, C(ompany) “B”, 7th Iowa Cavalry was sent there to protect the inhabitants against the attacks of Indians. A portion of this Company was stationed at Niobrara and the remainder divided between St. Helena and St. James. At the latter place a fortification was built, called Fort Jackson, after the name of the captain. This fortification was built on an elevated spot which is now owned by Fred Harder. This Company stayed about twelve months and citizens were not sorry when they left. WAR OF REBELLION. And other great drawback in retarding immigration to this part of the West, was the war of the rebellion. Since the close of the war, however, immigration is slowly but steadily taking up our fertile lands. A large area of our best lands having been monopolized by non-resident speculators, railroad companies and non-resident land owners at very low prices, and as railroad communications is fully established, we have every reason to believe that these lands will rapidly change hands from those of the non-productive to those of the productive classes. GRASSHOPPERS. The dreadful ravages of the Rocky Mountain locust (grasshoppers) have also had its effects in retarding the advancement of the country, but the farmers are not discouraged by the ravages of these pests, but have put in larger crops than ever before – determined to recuperate from the losses of former years. LOCATION. Cedar County is well located, having four tiers of townships pointing on the Missouri River, by five townships and a fraction deep north and south, containing about 389,760 acres of land well watered by numerous streams excellent and pure, together with a large number of springs of living and limpid water. The country is well timbered, having large bodies of timber on the Missouri River, such as cottonwood, oak, elm, ash, together with several other varieties of timber. The country is abounded with several excellent water powers, especially the East and Main Bow Creeks, three of which are now improved with first class flour mills, aggregating ten run of burrs. There are four steam saw mills and one water saw mill in the county all doing a fair business. The first steam saw mill brought into the county was by the company who settled at St. James. They had also a small portable mill to grind corn, run by steam power, which was highly appreciated by the settlers as corn bread was the main sustenance of the people here at that time. Wheat flour could not be had nearer than Sioux City, Iowa, and that generally brought from St. Louis by steamboats. We believe this mill was brought here in 1857. The following summer, 1858, the writer brought the second steam saw mill into the country and located at St. Helena. In the spring of 1850**, this mill was nearly completely destroyed by fire. During that same summer it was again rebuilt and has been running ever since. FERRIES. Three chartered ferries are in operation between the county and Dakota Territory – one steam, one horse, and one flat boat. The steam ferry does a lucrative business between Green Island and Yankton. TOWNS. The county has three recorded towns, St. James, St. Helena, and Stramburg, the latter of which is directly across the Missouri river from Yankton. The old town of St. James having been appointed county seat by the Governor was considered the legal place to do business until the people voted to remove the same to St. Helena as the old St. James had been entirely abandoned by its inhabitants with the single exception of O.D. Smith and family who kept there a general store and post office. The first meeting of the county commissioners took place there on the 4th day of October, 1858. COUNTY SEAT. Since the election for the County Seat took place in the fall of 1869, St. Helena has been the county seat. The county commissioners have purchased a commodious building which is fitted up into offices for the county officers. The total number of inhabitants at the county seat at present writing is about 175. NEWSPAPER. There is also a weekly newspaper, the Cedar County Advocate, published regularly at the county seat, receiving a liberal patronage from the surrounding country both of advertisers and subscribers. The paper was established early in 1874 and is well conducted and neat in appearance. In the spring of 1858 the writer of this commenced publishing a weekly newspaper, the St. Helena Gazette, the first nine numbers of which were printed in St. Louis, Missouri dated ten days later than the date of publication (it generally took that number of days for the mail to travel this distance). On account of having but a monthly mail, it had to be carried by private conveyance generally from Sioux City, Iowa. In July of that year, 1858, the office was removed from St. Louis to St. Helena and published there by A. Nette, for a few months when it died a natural death for want of support. COUNTY OFFICERS. The first county treasurer was George A. Hall. After him, I.S. W. Coubry was elected and ever since the last named person left the county in 1863, Peter Jenal, the present incumbent, has filled the office to the entire satisfaction of the community. The first county clerk, Geo. L. Roberts, then Moses E. Denning, S.P. Saunders and W.H. Gallomer filled the office for a short time each. Since the year 1863, P.C. Nisson has filled that important position. He is also recorder and clerk of the district court. The other county offices have been filled by various parties. Present incumbents are Silas Reynolds, sheriff; W.H. Powell, county Judge; C.A. Evans, coroner; John Lammers, Henry Morten and L.E. Jones, commissioners and A. McNeal, surveyor. SOIL. The surface of the county consists of greatly rolling prairies, with numerous valleys of excellent and wide bottom lands with running streams of pure water. The soil generally is of deep yellow loam, very productive and well adapted to withstand either drouth or excessive wet weather. The river bluffs consist of chalk stone which is extensively used for building purposes, as well as burning lime. The country is well adapted for stock raising as luxuriant prairie grasses grow on the highest elevations. As a general thing the winters are not severe with the exception of a few storms called blizzards, consequently stock raising is the most profitable business of the husbandman. Wheat, corn, barley, oats and other cereals are raised in large quantities as well as all kinds of root and vegetable crops. FRUIT. A large amount of fruit trees of different varieties have been set out within the last few years. No doubt exists in the minds of those who are cultivating them that they will mature to perfection when properly protected from blustering winds. MAIL FACILITIES. It was rather hard for the early pioneers to be separated from the balance of the world as it were. The means of information that reached them was through a monthly mail carrier on horse back. Well does the writer recollect the hardships of a trip from this county to St. Louis in the fall of 1858. The only means of locomotion at command in those days was an ox team from here to Sioux City, Iowa, then by stage from that place to Council Bluffs and another stage from there to St. Joseph, Missouri. Here we had a choice of two routes – one across the state of Iowa to Hannibal, on the Mississippi river by stage, or the easier way of traveling by steamboat. We chose the latter, which took us just six days from St. Joseph to St. Louis. The trip can be made today from this county in thirty-six hours. Shortly after this, for the Government favored us as much as could be expected, under the circumstances, we had the luxury of a weekly mail and some years later, mail service was again increased to a daily mail and at present writing, the St. James, St. Helena and Green Island have each a daily mail whilst the other offices in the county are regularly supplied from these offices. There are now eight post offices in the county receiving letters and papers from different parts of the world. BRIDGES. Cedar county, having a large number of water courses, many bridges are absolutely necessary. During the year 1872 the county authorities purchased a pile driver intending to build nothing but pile bridges thereafter. In the course of that time there have been built within the limits of the county, 101 pile bridges at cost of $3,547.20, together with some three or four more under contract. CULTIVATED LANDS. We have not the means of stating accurately, the number of acres under cultivation in the county but will approximate that there is in the neighborhood of 35,000 acres. TREE CULTURE. There were exempt from taxation in the assessment of 1875, 101 acres of trees under proper cultivation, but we have good reason to believe that not one half has been reported to the assessors. SCHOOL. Educational facilities were almost entirely neglected by the early settlers. There was not a single school taught within the limits of the county for many a long year after its first settlement, with the exception of a few months at St. Helena, by Geo. A. Roberts, L.C. Bunting and C. Clark in the year 1860 and 1861 (all private schools). There was also a private school taught a few months at St. James about the same time. About the year 1867 a public school was started at St. Helena with a person by the name of Reed as teacher. About this time a public school was also commenced at St. James. Thus from this small beginning have our public schools expanded until fine school houses are seen in every part of the county. There are at present in the county, twenty-six school districts, twenty-one school houses valued at $13,275, thirty-one qualified teachers, and nine hundred children of school age. CHURCHES. The religious community have not been behind in the advancement of their different denominations. The Catholic church, especially is very prosperous, for predominating all others combined; the Catholics have a church building and resident priest, John Daxacher, who is working zealously among his flock and doing prosperous work; the Methodists have also a church building at St. James with a resident minister. The United Brethren and Congregationalists each their followers but no church building of their own. VALUATION. We have no means of finding out the assessed valuation of property in the county previous to 1864 as no regular books were kept. Consequently, from that year we give the total assessed valuation up to the last assessment in order to show that the county increased at a healthy rate during these thirteen years. For the year 1864 $17,830. It will be perceived hat the valuation of the last two years do not keep pace with the increase of former years. The cause of this is that all kinds of property within the last ten years has considerably shrunk in value, consequently has not been assessed as high as normally. Another cause of decrease was the action of the Legislature taking away one of our best townships and attaching same to Pierce County, the County lying south of Cedar County. POPULATION. We have the same obstacle in regard to showing the increase to population as we have hand in regard to valuation no record having been previous to 1871. Consequently we shall commence with that year. LIVESTOCK. In regard to this species of property it will be seen that also increased in the same ratio was other property in the county. 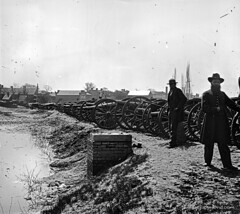 **** We shall commence with the assessment of 1864, the earliest date we have on record. DIFFERENT OCCUPATIONS. There are in the county several mechanics such as Printers, Carpenters, Machinists, Shoemakers, Tailors, etc., who do not follow their own trades but are engaged in other occupation, several carpenters, bridge builders, masons, etc. continually working at their own occupation, who have no settled place of business. Below we give a list including dry goods, groceries, hardware. FINANCIAL. Cedar County at the present writing is entirely and absolutely free from debt. Her warrants are redeemed by the treasurer at par. It has neither pauper, prisoner nor lunatic to support at the public charge. RAILROADS. The citizens of Cedar County voted on the 8th day of April last to donate $150,000. to Covington, Columbus & Black Hills Railroad Company in coupon bonds payable in twenty years after date bearing interest at the rate of ten per cent payable semi-annually to aid in constructing a road east and west through the county. It is now fully believed that by the next birthday of the Republic, the iron horse will be striding over the rich prairies of Cedar County. Precinct #No. 4 by G. Ferber. School was organized in 1870 and had 22 children with Addison Cole as teacher, term of school three months. At the present time, it has 56 children attending, school term nine months, teacher Miss M. Bark. Value of school property $600. It shows but very little increase since the organization of the District. The fact is there have been some 5 or 6 precincts cut off. There is another school in precinct No. 4 but could not get any particulars from it. Precinct #No. 6 by John Meyer. John reports from this district that he is the oldest settler who located in that precinct having arrived there on the first day of October 1869. No. of voters 21. No. of houses 28. No. of cattle 123. No. of acres under cultivation 730. No. of trees planted 17,032, besides one acre of trees planted at school house valued at $500. Precinct #No. 7. by I.P. Abts. In the spring of 1870, Mr. Ira N. Lyman, Levy Heller, Wadon Heller, James Bush, Boyles, and I.P. Abts commenced settling this precinct. There was no land broke then but there is now about 1000 acres broke, consisting of 28 farms. There was 21 inhabitants then and 150 now. There was but three acres of forest planted which is thriving wonderfully so there are some fencing poles there now. These trees have not been planted over three years. When the precinct was organized in 1872, 17 votes were cast but the last election there were 27. There was about 17 horses of the value of $800.00 in the precinct then and about 33 head of cattle valued at $500.00. But at present there are 68 horses valued at $3155. ; 128 cattle valued at $1,481.38. ; sheep valued at $49. ; 14 swine valued at $24. ; wagon and carriages $336. ; money and credit $270. ; other personality $384. ; with a real estate value of $55,900. When the precinct was organized there was one school house in it but now three of the value of about $1000. The term taught during the year is in two schools six and in the third nine months. Their attendance number 45 children. The East Bow Creek runs north and south through the precinct and has several streams on both sides running into which gives the Creek on the lower end of the precinct a power for mills and other manufacturing establishments. There was in 1874 a post office established which keeps up correspondence with the whole world. Precinct #No. 8 by H.T. Ankeny. The history of this does not date back more remote than the spring of 1870. Until that time the county was but a vast undulating prairie covered with a luxurious coat of vegetation. Not a tree or shrub visible as far as the eye could reach and nothing to denote or indicate that the foot of the white man had ever pressed the soft and yielding covering of the fertile soil, except at regular intervals the mounds and pits which show that government servants had been there before to establish lines and regulations for the advance of the hardy pioneer. Occasionally the sameness of the scenery would be interrupted by the sight of an elk or deer or antelope quietly grazing but at the approach of man would bound away with the fleetness of the wind over some friendly knoll and out of sight. The wold and coyote would come around with their natural inquisitiveness for a time and would skulk away and be lost to view. But this could not always last. Such beautiful and rare formed lands, such (rich?) and fertile soil could not long be left to the wild animals, to the red man and his untrained progenitors. 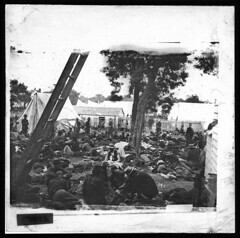 On the 11th day of May, 1870, five men had left their homes and more thickly settled parts of the country, came to this part of the county to locate for themselves homesteads with a full determination to settle on them and bring under subjection to their iron will the wild and heretofore untilled soil and unbroken sod. Those indomitable, hardy, resolute men were Seymour Starks, the senior of the party; Harry Starks, his brother; Lewis Dennis, Dr. Conly and J.B. Gould. They located very near in towns. 29 R. 3 East that same spring after having built their shanties for temporary habitation. Dr. Conley and Harry Starks started breaking teams, each breaking about 80 acres but to which the two shall be credited the breaking of the first ground the writer is unable to state but the first family in his new home was that of Wm. Button. During the spring a few more settlers joined those that were already here which swelled the number to 7 adults and 9 children. The following winter not a soul remained on the prairie but the next spring most of the original number returned with some more in addition. It was now a life on the prairie in earnest. Some were breaking up the virgin soil, some were building habitation and all at work at something, none idle. In the fall, Lewis Dennis put up a frame house with shingle roof, the first of the kind in the precinct. That the first settlers had a hard and tedious time to make homes and open up farms in this wild district it is not difficult for the reader to imagine it being so far from all kinds of materials used for building houses and shelter for what little stock the limited means of the pioneers would permit them to hold. The population kept steadily increasing until the spring of 1872 when O.R. Ankeny with a number of members of his family settled in the same town. That dreadful disease, consumption, had become firmly settled on his constitution and he came to this pleasant prairie in the vain hope that the constant wind and pure air would be beneficial to him, but it proved of no avail for in February following he passed away which was the first appearance of the great destroyer in this community. In the fall of 1873, a voting precinct was organized in the limits of town. 28 and 29 R. 3 East with and additional ¾ section in section 30 and 31 of towns. 30 same ranges. At the first election held in the precinct there were fifteen (15) voters present. The energies of the mind and body were devoted to the raising of cereals until the year of the Grasshoppers in 1874. At that time there were large fields of waving grain utterly destroyed which put an effectual damper that stopped the draft in that direction to a great extent and turned the attention to a surer and more remunerative industry namely raising of stock. This portion of the county being especially adapted to that purpose. The Logan River traverses from West to east through the entire precinct and three draws of the Logan running diagonally through it each having a smooth level bottom from one fourth to one mile making in extent full one third in area or the entire precinct covered with tall thickly matted, luxuriant grass, from which could be cut nearly thousands of tons of nutritious hay. The following statistics will show the inhabitants awoke to the advantages of this section for stock raising. At the first settling six years ago, there was not one half dozen cows brought in and half of the original settlers had no team. Now there is in the precinct 250 horned cattle, 90 head swine and 33 head horses. The number of acres of land opened out foots up to nearly 1100 and the number of acres of artificial forest seventy. The total population at this date is 42 adults and 33 children. There are three organized school districts in this precinct, each having from one to three terms of school yearly. Two of the districts have a school house and one them a temporary affair. The other, which is known as Logan Valley School house, is a splendid building large and commodious and neatly finished with all the modern school house fixtures fuel and well water at the door. Pronounced by those who seem to know the finest school house in the county, cost about $1000.00. There are none of the trades of the professions represented in this precinct with the exception of two carpenters for this is strictly a farming community. Although there are immense water privileges on the Logan, there are no manufacturers or mills. And now in summing up the history of precinct #No. 8 there is the following result from a wild region known only to the savages, in the short time of six years ending July 4, 1876 there is now a beautiful farming country dotted here and there with farm houses, surrounded with fields of ripening grain, denoting thrift and prosperity. Precinct #No. 9 by A. McNeal. This precinct was first settled by D.L. DeGarmo in the year 1869. The number of adults in the precinct at that time was were 2 in number at present time 23, number of children at present time 23, teachers 2. The stock in the precinct number as follows: Horses 17, cattle 71, hogs 56, sheep 7. The number of homesteads are 12. There are two surveyors in the precinct. One who does the county business; the other will not celebrate his birthday until the 8th day of June following and is therefore not much known in the county. There are about 25 miles of Main Bow and its branches in the precinct. The fruit trees in promising condition number about 275 mostly set this spring by McNeal. No others have set out fruit trees. Some will produce fruit this year. Precinct #No. 10. by R.T. O’Gara. In compliance with the request of the convention that appointed me historian of the above named precinct, I herein furnish a true history of the same. In the spring of 1870, I visited the vicinity of this precinct. It was then an entire waste with no signs of civilization of which the deer and antelope had undisputed control. I selected a location in this unsettled region and on the 30th day of May A.D. 1870, obtained my papers for a homestead entry at the Land Office. In June of the same year, I was joined by my brother, who had settled nearby. We erected a bachelor’s Hall and commenced to improve the wild but beautiful prairie. As soon as the linkeyed speculator noticed those two dots on the blank sheets at the Land Office, they secured the assistance of surveyors, came hither and entered nearly all the land in this and surrounding country so that at the close of 1870, there was but very few pieces of desirable land vacant. In the summer of 1870, my father and other brother moved from Wisconsin to this place looking up homestead and settled down in the fall of 1871. Our little settlement was increased by a family from Wisconsin consisting of parents and five children. Here we remained in peace and quietness away from the bustle and commotion of the more settled parts of the county. There was nothing to break the stillness that prevailed except bands of roving Indians that came to hunt for game and going back and forth on their visiting excursions to the Omaha, Winnebago and Santee reservations. Very frequently we would see the hills and every elevated portion of land in sight adorned with those born beauties, some of them would place themselves in those high positions to intercept the game which ever way they may run. In 1873, our settlement was again enlarged by two families that moved in from Iowa. They were seven in number all told. In 1874, our number s were again increased by a family from the southern part of this state consisting of six in the family and also a young man from the state of Illinois. At that time the place began to assume the appearance of civilization. Large tracts of land were broken up, houses were built and groves of timber planted. Everything looks prosperous in the young settlement but the people were laboring under disadvantages. They had to pay their road tax in money or work on the roads in some precinct several miles distant. The people also neglected to attend the polls on account of the distance so the people thought it necessary to organize a precinct for their own convenience in these matters. Accordingly in July 1874, a petition was presented to the county commissioners at their regular meeting asking for and organization of a precinct. The petition was granted and the people were satisfied on that point. The next disadvantage was the people had no school for their children so in the fall of 1874, a petition was presented to the county superintendent of public instruction asking for the organization of a school district. The petition was granted and the district was organized as soon as practicable, namely district no. 23. The first term of school was taught in the district commencing January 4, 1875. The whole number of scholars that were of school age in the district at that time was eight. In the fall of 1874, our Illinois immigrant returned to his native state, got married, and returned in the spring of 1875. Having now everything to make him happy, he went to work on his place with a good will. His farm consisted of 320 acres of land, 40 acres broke, a good frame house, other necessary building and a good well of water but on the approach of winter he got discouraged and returned to his native home. The immigration to our precinct from 1874 to the present time is respectively adults 22, children of school age 21, under school age 15, total 58. The number of acres of land under cultivation in the precinct is 540, no. of horses 36, cattle 85, pigs 67, no of acres of timber 18. Apple trees 50, and a school house worth $1,500 dollars. There is in the district one qualified teacher. There are two streams in the precinct, one in the northern part and the other in the southern part, neither of them extends into the precinct only about a mile. There is also a large spring in the South Western part of the precinct. It is known as the Big Spring of Cedar County. I believe this spring is better known by the people of distant states than by the people of Cedar County in which it is situated. Surveyors and land speculators all inquire for the Big Spring of Cedar County. From this spring they could start to any part of the county they wished to go. Therefore it was a regular camping ground. A large quantity of water flows from this spring, enough to move the machinery of a good sized mill if properly utilized. The stream spoken of are tributaries of the Main or Middle Bow. CONCLUSION. It will be seen by the above reports that the oldest and wealthiest precincts have failed to send in any statistics. Those who have reported are the most recently organized and sparsely settled districts of the county. The county contains eleven precincts from No. 1 to No. 11 inclusive. * It’s more likely that L.E. Jones wrote “fiends” rather than “friends”. ** Obviously the date of 1850 indicated in this transcription is an error (typographical? ), since the mill was not actually built until 1858. *** The population count is presumed to include only white inhabitants, or possibly people of African descent (although that is unlikely), but to certainly exclude any Native Americans then still living in Cedar County. **** The original transcriber clearly left some meaningful material out of this sentence. Click image to view full-size. The following is a faithful transcription of a photocopied newspaper page, one of many documents I received from D. L. Bond, of Raleigh, N.C., as part of a collection of memoirs and papers, as well as genealogical information related to Lewis Evan Jones Jr. (1825 – 1910), his antecedents and descendants, and the “Nebraska line” of the Jones family, originally of Dolgelly (Dolgellau), Wales and Carnarvon, Wales. Mr. Bond is a great-great-grandson of Lewis Evan Jones Jr. I have no information what newspaper this article originally appeared in, or the date of publication. If anyone can help me identify this article’s origin and date, please contact me. B. Paul Chicoine, the “Journal correspondent” who authored this piece, is apparently the same person of that name who co-authored the book Sioux City – A Pictorial History, the Donning Company, 1982. He appears to have also authored or co-authored a number of other historical articles and text books. WYNOT, Neb. – Time and grazing cattle may be kicking the underpinnings from a massive three-story frame structure near Bow Creek, but the Bow Valley Mill is a persistent survivor. Perched on the bank of a dried up millpond, Cedar County’s oldest surviving landmark hangs on to the future with slipping fingers – a sad state of affairs for a building which has survived time, technology, floods and efforts by one of Cedar County’s more colorful and industrious families to keep the ancient giant in production. Situated a quarter mile south of bubbling Bow Creek, a major water course in the north Cedar County area, the Bow Valley Mill is a monument to this family and to the raw, untamed wilderness of the Nebraska frontier. It was founded by Lewis Evan Jones and is part of an industry bloodline which included the Christian Advocate. In 1857, while Jones, founder of the Advocate, was still plying his trade and papers, he was intrigued by a company of town promoters involved in establishing a prairie city along the Missouri River in Nebraska Territory. Family accounts and local records show Jones, a native of Carnarvon, Wales, was impressed by the immense acreages of hardwoods which lined the hills in this region and the available water power along its creeks. Turning publication of his newspaper over to a colleague in St. Louis, he embarked upon a milling career which was to develop the huge mill at Bow Valley. Mrs. John (Edith) Jones, grand daughter of the mill’s founder, maintains a careful collection of its records. She says the family business survived 100 years of prosperity and disaster by adapting to changing times and needs of Cedar County. Those needs included making flour for the gold prospectors of Montana and later, generating electricity. The mill is said to have helped supply the soldiers in the last campaigns against the Indians. Riverboats upbound from Sioux City to Montana stopped regularly to take on fuel and freshly milled flour at the mill’s private landing, located a short distance north on the Missouri River. Along with processing locally grown wheat and corn, a sawmill attached to the mill’s east side supplied planks, timbers, and framing for homes and farms in Wynot, St. James, nearby St. Helena and Yankton. With the coming of the railroad and the founding of Wynot, the track’s terminus in 1907, the mill’s creeking side-shot water wheel was harnessed to an electric generator to power the town’s first electric lights. Built of local hardwoods – maple, oak, and walnut – and mortised and tenoned throughout, Bow Valley Mills shows the work of skilled hands. Its records show the persistence of the Jones family in keeping it alive through three generations. Wheat, hauled in by pack horse and wagon, was ground on the first floor by water-powered burrs, then sacked and stored in a “mouse-proof” flour house alongside. Mouse-proofing was accomplished by overlaying walls with tin. The materials were shipped upriver by steamboat. Water-powered elevators raised wheat to the two top floors for temporary storage. A quarter-mile millrace delivered water from a rock and log dam across Bow Creek to the south. Later, after floods destroyed the first dam, Thomas Jones, son of the founder, constructed another dam of railroad iron and concrete further west. Mr. Jones recounts that the sheer weight of the second dam caused it to sink beneath the river bank, thus closing the mill for good. Milling thus ended at the at the ancient landmark in the 1920’s. Subsequent attempts to revitalize the structure failed, ending in the mill’s conversion to Commodity Credit Corp. grain storage in 1939. Today the giant wood structure stands in silence a dusty gravel road. The sawmill and mouse-proof flourhouse are gone. So is the great creaking waterwheel, and the shafts of machinery it turned. Spilled aots and assorted rubble litter the mill’s huge interior. Below and away a herd of black cattle graze quietly amid willows where head deep mill waters used to rush. Like most of the Wynot community, Cedar County has voiced no plans to restore the venerable structure which now sags precariously toward the spillway its founders dug. The following is a faithful transcription of a photocopied page (partial article) that originally appeared in the Cedar County News, on January 29, 1975. It is one of many documents I received from D. L. Bond, of Raleigh, N.C., as part of a collection of memoirs and papers, as well as genealogical information related to Lewis Evan Jones Jr. (1825 – 1910), his antecedents and descendants, and the “Nebraska line” of the Jones family, originally of Dolgelly (Dolgellau), Wales and Carnarvon, Wales. Mr. Bond is a great-great-grandson of Lewis Evan Jones Jr. The author of this article, Edith D. Jones, is the granddaughter of Lewis Evan Jones Jr. If anyone has any information on Edith D. Jones, please contact me so we can share information and I can document the connection. Lewis E. Jones of St. Louis, Mo., came to the St. Helena area in 1858 and helped establish the town. He brought with him a printing press and a saw mill. He operated the sawmill at that place until 1868 when because of availability of water power from Bow Creek, he built the Bow Valley Mill, approximately 1 ½ miles north of Wynot, Nebraska. Approximately one and one half miles north of Wynot is the Bow Valley Mills built in 1868 Lewis E. Jones as a flour mill. Oak timber from the Henson Wiseman timber was used in its construction – the frame was mortised and pinned with wood pins, no nails used at any time. A dam was constructed across Bow Creek, approximately one fourth mile south of the Mill. A mill race was dug and water power was made available for running the mill. On the west of the structure there was an addition called the “flour house”. On the east side was the saw mill equipment, and a scale house was attached on the south. These additions have been removed through the years. The main structure, which contained the flour milling machinery, is standing today – probably the oldest historical mark left in Cedar County today. For many years flour milling and sawing of lumber were the main activities. The mill ground flour for half a century to feed the pioneers of Nebraska and Dakota Territory. Thousands of tons of flour and feed were ground by Bow Valley Mills and transmitted to the town. Still later this building was converted into government storage bins for scaled corn. Today it is used for storage of grain and farm machinery. Bow Valley Mills, late 20th century. A hill, approximately one-half mile northeast of the Bow Valley Mill, was the location of a major excavation by the University of Nebraska in the 1930’s. It revealed an early Indian village. It was unique among Indian Villages because it had a wall built around it. This led some to believe the Indians were hostile, and therefore some traditions say the village was called “Bad Village”. Lewis and Clark speak of this village as they journeyed up the Missouri River in 1804. Private schools were established by the early settlers in many areas. The first public school – before school districts were formed – was built by farmers in 1867 and the first session of school was held in the summer of 1868. At that time, school was held between the time crops were in (approximately May 1) and held until November when corn picking started. She was the first teacher in this section of the state and one of the first north of the Platte River. She had 35 pupils, some as old as she, and some walked as much as four miles. She taught this school two years. In 1872, a school house was erected northwest of Bow Valley Mill – (approximately one-half mile) and the first teacher was Mr. J.J. Tullass. On April 30, 1873, School Districts 1, 2, and 3 were organized. This area being in Disctrict #1. In 1930, a marker was erected by the Home Culture Club of Wynot, assisted by the school children of Cedar County. Since the site on which the log structure (of 1868) stood was in an area which was flooded nearly every spring and fall, the marker was set on the grounds of the first school erected in 1872. School District #1 was discontinued several years ago – the building was sold and moved from the area. 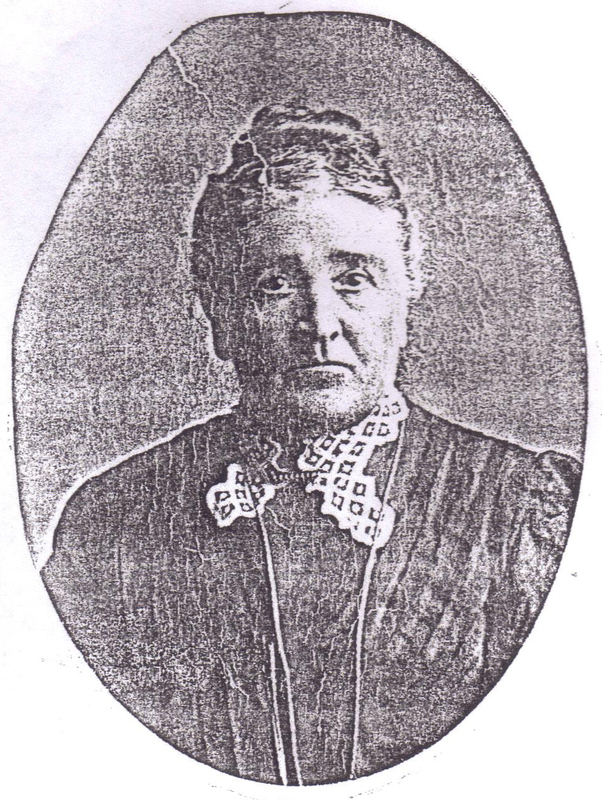 Mrs. Anna Schmidt Felber, first teacher. Assisted by the school children of Cedar County. 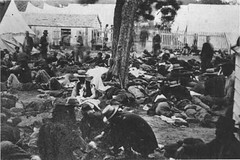 During the summer of 1864, “The Great Stampeded” took place. It followed the Wiseman Massacre near St. James and the murder of Dr. Lorenzo Bentz northwest of St. Helena. News of an uprising was brought by refuges that the Sioux and Cheyenne had organized an army of 10,000 to clean out all the white inhabitants from both sides of the Missouri river. Hasty consultations took place and settlers fortified themselves as best they could. The settlers at Old St. James immediately fortified themselves in the “Court House” by throwing up sand embankments and otherwise strengthening their position expecting momentarily to be attacked. They also dug a well inside the embankment. At St. Helena, the mill house (one mile east of the town) was filled with fleeing settlers from up the river and particularly with many Norwegian families from “The Dakota Bottomlands” (across the river). All were welcome as they helped strengthen and fortify the place. Four families, all that remained in the town, congregated to occupy one four room house, the Felber House, one room for each family. They gathered all the arms and ammunition to be found. The massacre was never carried out but there was good reason to believe that it had been carefully planned. In the course of a few days, nothing having occurred, the scared settlers began to return home and everything soon quieted down. Later, during the year 1864, Company B, 7th Iowa Cavalry was sent to protect the settlers against Indian attacks. A part of this Company was stationed at Niobrara and the remainder garrisoned at Fort Jackson to protect settlers of St. James and St. Helena. Approximately two miles northwest of Bow Valley Mill is a fork in the road. Fort Jackson, named for its captain, once topped the high hill in the “Y” – on what was later known as the Harder farm. The soldiers remained about a year and it is said the settlers were not sorry to see them go. As we catch our first glimpse of the spire of the St. Helena Catholic Church, it would be remiss if we did not pause at the top of the hill to view the Dakota Bottomlands. This land, lying along Missouri River and bounded by the James and Vermillion Rivers, is known as “Strike the Ree” land – (land of the Dakotas). In the fall, when the summer’s hunting ended, the Dakota usually set up their winter camp along the Missouri, near the James. It is here, that on August 28, 1804, Lewis and Clark made their camp. * John Felber is probably the son of Henry Felber, who traveled to St. Helena in 1858, with Lewis Evan Jones Jr., on board the steamboat Florence, to first settle in Cedar County. ** I do not have the balance of this article included in the papers passed to me from D. Bond. I have contacted the Cedar County News to determine if copies still exist. I will update this article to include the missing material if my inquiry is successful. The following document is a faithful transcription from a photocopy of a letterpress set pamphlet style publication with colored paper wraps, measuring approximately 8 1/8” x 4 3/8”. The text pages count 20, un-paginated, but complete (all included).. There is no date of publication, but the text is dated Nov. 18, 1901 at the end of the story. The cover bears the following information; handwritten at the top of the wrap in ink (“No. 4. )”, title is indicated as “History of NEWSPAPERS of Cedar County Nebraska”. The author signs “L. E. JONES, SR.”* at the end of the text. There is no printers imprint indicated, and while the typesetting is somewhat different than the other pamphlets in the series, it is likely that the publisher was the Herald Printing House, Hartington, Nebraska, who produced the other documents in the collection. “NEWSPAPERS IN Cedar County, Neb. EDITOR NEWS: Several inquiries have been made to me in regard to early newspapers published in this county. I am not conversant with papers published within the last ten or fifteen years in the southern part of the county, therefore can write only of those printed in the northern part, the first settled. I had fully made up my mind to leave St. Louis for a more healthy location, and found Nebraska offered good inducement to ambitious young men with but little capital at their command, recollecting the advice of Horace Greeley, editor of the New York Tribune, gave to a young man making inquiries to him what best to do in order to make a start in life, the old editor wrote him this reply – “go west young man and grow up with the country.” This advice I accepted as if directed to myself. After reasoning with my wife and friends, pro and con, we came to the conclusion to make the sacrifice of a comfortable home in the heart of a refined city, for the distant prairies of the far west. After this a steam saw-mill, the first requisite of a new country, was the first thing to look for, then a practical and competent sawyer and engineer was found in the person of Jacob Branch, who worked in a machine shop in the city, who with his family were anxious to go to a new country. The steamboat OMAHA was then loading for upper river; the captain promising they were destined for Ft. Randal, and would take my freight to St. Helena. Mr. Branch left his position in the machine shop to go with his family. In the mean time a young printer named Augustus Nette, who had worked at my office in St. Louis, also wished to grow up with the country, offered to purchase a press if I would furnish the material I had already on hand, to print a paper. It seemed a wild vision to print a paper in an Indian country such as this was at that time. However, the office went on board, together with sufficient amount of provisions for a saw-mill hands and wood-choppers during the winter. I left my family in St. Louis, while Nette and I, and Branch and his family went up the Missouri river on the steamer OMAHA, loaded down to the guards with freight and passengers, destined to various points on the river. When we arrived at Sioux City, the captain informed us he was not going further. Here our stuff was dumped along the leves. After finding an empty house in the neighborhood for Branch and his family, Nette staying with them to care for the printing material, I walked six miles to Dakota City, where a ferry-boat that had been plying between Dakota City and Sergeant Bluffs was lying idle, to try and hire her to take us up the river, 150 miles by water. The owners of the boat would not consent to hire her for that purpose, so that enterprise failed. I next hired a dilapidated old buggy with an ancient horse, at Dakota City, and wended my way to St. Helena, which place I found second night after leaving the boat at Sioux City. I found everyone in bed here. I had hoped I could find a sufficient number of teams here to haul our stuff up. To my utter disappointment I could find but two ox teams there. Early next morning we started back with these two teams for Sioux City, which took two days to reach. Finding teams at Sioux City and vicinity but no one would let them go unless they went with them. In this way I had 17 teams (oxen, of course) and 17 teamsters) loaded up and crossed on the steam ferry to Nebraska. Here I found that oxen were the right thing to have, for if I had horses they would get out of sight of the mud. The weather had been very wet for some time previous and no road made through the thick timber at Covington worthy to be called such. We had terrible times all the way to St. John, a Catholic settlement a mile or two north of Jackson. We brought axes and shovels with us to make roads and build bridges as we went. In six days, after hard work, we reached St. Helena, not without breaking down wagons several times. The boiler (a large two flue, twenty feet long) was the most troublesome, for we ruined two truck wagons in its transportation. The first thing after a day of rest was to cut down oak trees and hew them for foundations for the mill and build shanties for the men, Nette and myself having found one end of a log cabin to use as a printing office. After four weeks labor, we had the mill and printing office ready to work. After having sawed a few thousand feet of lumber and printing one issue of the St. Helena Gazette, of Nebraska production, (some six or seven numbers having been printed in St. Louis) I turned my face again towards home, dirty and ragged. Following the old road as before until reaching St. Joseph, Mo., where the Hannibal & St. Joseph railroad was building from both ends, the eastern end from Hannibal, Mo., on the Mississippi river, I took this route this time and was sorry for it, for there was a gap of about one hundred miles to be traveled in open lumber wagons for this distance, with rain pouring down in torrents the whole time. Arriving at Hannibal we found a steamer for St. Louis. To tell the truth, after reaching home once more and finding everything cozy and comfortable, I wished the name Nebraska had never been mentioned to me, but now since I had my foot in it would be cowardly to back out. The following spring (1858) found me and my family, Henry Felber, and Peter Jenal, with their families, on board the fine steamboat FLORENCE, loaded for Ft. Randall, by Frost, Todd & Co., who were settlers at that point, and also held several posts, trading with the Indians in Dakota. We had a pleasant trip up the river and landed at St. Helena in ten days. Finding the men left there anxiously awaiting our arrival, for their larder was getting very low and their clothing ragged. My friend Nette had suspended publication of the GAZETTE, because, he said, the country was yet too green. After a short time helping us to build houses to live in, and build fences, etc., the best he knew how, he sold his interest in the office to me and left for St. Louis. It was money thrown away to think of reviving the publication of the paper. I stored the material away and took the white paper and ink, enough to civilize the whole North American Indians, to Sioux City, where friend Zeibach, now of Yankton, was there publishing a small weekly paper. I think it was called REGISTER, but do not exactly know the present SIOUX CITY REGISTER was built on its foundation or not. However, friend Zeibach wanted the ink and paper, but did not have the spondulix to pay for the same at that time, so I left it with L.D. Parmer, who kept a store there, to be sold as fast as the REGISTER could use it. You understand that printing supplies had to be got from St. Louis and freight was high. This was before the advent of railroads. In 1891** the treaty with the Yankton Sioux Indians having been ratified, Dakota was opened for settlement. The territory filled up slowly and politicians began to loom up. Vermillion and Yankton became rivals for government power but Yankton got the lead and became the territorial capital. 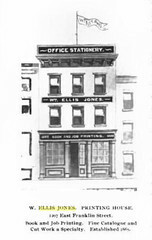 A Mr. Clark, hailing from Sergeant Bluffs, Iowa, anxious for some important office, so as to grow up with the country, as it were, came over to see me in regard to purchasing my printing outfit for the purpose of starting a newspaper at Sergeant’s Bluffs. After considerable dickering, I traded him my material for a span of $500 mules. Instead of going to Iowa, as he promised, he took the plant over to Vermillion and started the Vermillion Republican, to oppose the friends I was backing at Yankton, but the trade was made, and I was not going to cry over spilled milk. I think the old press (a Washington) is at that place still, but the type must have been renewed. Such is the history and fate of the first attempt at publishing a newspaper in Northern Nebraska, then fresh from the hands of the Indians. St. James, Neb., Nov. 11, 1901. EDITOR NEWS: In my last letter to you I promised to give you the history of newspapers published in this county, from its formation to the present time. In that letter I deviated from my original purpose in order to get at the birth and demise of the first urchin, its burial and last resting place together with the trouble its founders had to give it nourishment in an uncongenial soil. Peace to its ashes as the forerunner of greater masculines. Cedar County for some years after this had to depend for the world’s news through the medium of a horse-back mail once a month. Grasshoppers and civil war affected greatly to retard its growth, but not much greater than the surrounding communities similarly situated, continued to grow slowly, and in June, 1874, a young man from near Cedar Rapids, Iowa, made the venture of giving us our second paper, which he christened “Cedar County Advocate”. The county at this time could not give sufficient patronage for such ably conducted and neat workmanship as was given on this paper, printed at St. Helena, the county seat. If it had not been for the liberal advertising patronage from Yankton and Vermillion business houses, for these two towns were booming up all the surrounding country from the start, the paper could not have lived a day. These young newspaper men had not come here for their health, and soon got tired of working and spent their time in order to build up other enterprises, with what ability they possessed. W.L. Chandler, editor and proprietor having had better inducements from the people of Vermillion, discontinued the publication of the ADVOCATE and moved with his office to that enterprising little city. Thus Cedar County became the bereft of making herself known, for the second time, to the outside world. 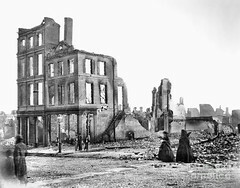 This catastrophe happening sometime in the fall of 1876. On the 4th day of April, 1877, a young man of the name J.W. Sheppard, also from some part of Iowa, commenced publishing a paper at St. Helena, called CEDAR COUNTY BULLETIN. This as well as the ADVOCATE was well printed and edited, but the patronage was too small to justify Mr. Sheppard to continue publishing the paper there. In order to keep a printing office in the county, I was induced to purchase the office from him on the 19th day of September, 1877. The paper was not suspended this time, but went on as usual. The paper not paying expenses and my time otherwise occupied, as soon as opportunity was offered, I sold the material and subscription list to Mr. P.C. Nissen, then county clerk, and he also disposed of the whole outfit to S.J. Johnson (a printer who had worked on the ADVOCATE and BULLETIN) and Nelson Teauto, who published it until Nov. 16th, 1879. This company had on the 1st day of Jan., 1879, changed the name from the CEDAR COUNTY BULLETIN to CEDAR COUNTY NONPAREIL, at the solicitation of E.P. Drake, then living at St. Helena, who had formerly lived at Council Bluffs, Ia., and got his political education from that staid old Republican sheet. John H. Felber, the next man who took hold of the wheel,, who was doing business at St. Helena, saw as well as others did that its doom was at hand, and purchased the whole outfit, in order that we could advertise out business at home and shape the country’s course from going into the wrong hands. In the course of time Mr. Felber and associated with him one Norman Rapalie, who had always been in the newspaper business at Chicago and elsewhere. About this time it hoisted the Populist flag to its mast-head. All the papers printed heretofore had preferred to be neutral in politics, but I must confess they leaned towards the men who owned them. I must say their columns were always open to all who wished to be heard on any subject. People at that time were square and upright, not shams as many are at present. Times have changed, and I’m sorry to say not for the best. The dollar has become the political faith of many. You can count on your fingers’ ends many among us who have thrown away their old coats, in order to get a better one gold lined. Mr. Felber soon after assuming control of the NONPAREIL, removed his business to Hartington, where he still lives, taking the paper with him, together with its printers, from St. Helena. The NONPAREIL, after many vicissitudes, was sold to Mr. Bordwell, who knew nothing about the business, changed the name to LEADER, and later leased it to Z.M. Baird., sheriff elect of Cedar county. He for some unknown cause, in January 1898, put on his tiger hat and hied away to Chicago. In a couple of weeks he started up in Hartington with a brand new outfit and commenced publishing a new paper called the CEDAR COUNTY NEWS. He having become so popular with his paper saw at a glance the people would give him any office within their gift, sold his newspaper to another sound democrat, A.V. Parker, who is now editor and proprietor of the NEWS. Baird selected the office of Sheriff and the people of Cedar county, at the last election put him through with a rush, 490 majority. How do you do, Mr. Sheriff? The old office, which was brought to the county to print the Bulletin, an independent paper, then printed the Nonpareil, a populist paper, and later the Leader, also a populist paper, was finally gobbled up by the omnivorous party which now publishes the Hartington Herald. The old outfit was taken to Iowa. The democratic politicians being without an organ, H.B. Suing and others started a paper called the DEMOCRAT, at Hartington, the first number appearing in September, 1880, and continued to be published until April 1890, at which time it was sold to John H. Felber and consolidated with the NONPAREIL. This was a neat paper and ably edited while A. M. Gooding controlled its editorials. After he cut loose, for some reason unknown only to those interested, Mr. Grimes, a school teacher, undertook the task, but knowing little about writing political editorials, the paper went, as all such papers ought to go – – to oblivion. Feb. 11, 1898, Geo. L. Nelson, the present editor and proprietor, became the chief owner of the very much bought and sold, bright little sheet. There were other papers published in the country, but for the reason, as I stated to you, I was conversant only with those in the northern part. Coleridge, Laurel, Randolph, and maybe other places, have their full quote of these public necessities. The Advocate, Bulletin and Nonpareil were all four-page papers, printed on good paper and handsome in appearance. Their sizes were 24×36 inches. St. James, Nebr., Nov. 18, 1901. * Louisa Cambria Jones, born August 8, 1854, died August 7, 1857. This is the child that died while Lewis was traveling, therefore it can be surmised that his first trip into the Nebraska territory took place between the middle/end of July and middle of August, 1857. ** The treaty with the Yankton Sioux Indians was actually ratified by congress and signed by President Buchanan in February, 1859. “1891” is an obvious typographical error. The following is a faithful transcription of a photocopied document that I received from Douglas Bond of Raleigh, North Carolina, (great-grandson of Lewis Evan Jones Jr., of Nebraska). The original document appears to have been printed on a dot matrix printer, and is dated June 30, 1991. The original author is Lewis Evan Jones Jr. of Cedar County, Nebraska. The editor is presumed to be Mr. E.W. Jones, mentioned below. My notes follow the transcribed text, related to asterisks(*) placed in the body of the transcription. Regarding the transcription: mis-spellings, mistakes, etc. that appear in the original transcription appear here italicized. Punctuation errors and ALL CAPS are retained from the original. Where I have introduced corrections to either clarify a misspelled or missing word, I have included them in parenthesis, (in italics). It cannot be determined what errors were introduced by the original transcriber or are original to the hand-written original text, however every effort has been made on my part to copy the text in my possession verbatim. “The following is a typed version of a document (the original is presently in the possession of Mr. E. W. Jones, grandson of the author, 2891 Laurel Street, Napa, California 94558-5728). The document is written in the hand of Mr. Lewis Evan Jones (1825 – 1910). The date of the document is unknown, however several entries are dated March 1st, 1898. “My ancestors were all thorough Welsh, and inhabitants of Merionethshire, North Wales, on my father’s side. “My great-grand-father was named RICHARD JONES, Tzddyn-du (Black Farm) half way between the town of Barmouth, (a prosperous sea port on Cardigan Bay, at that time, and until the Railroads took all that business from ships who applied to and from all ports of England, Ireland, Scotland and Wales,) and Dolgelley, a prosperous town, ten miles from tide water. This place was noted for its woolen manufacture, and good market for wood, which was a flourishing business raising sheep those days, and in a mountainous country. It is yet a good manufacturing town, making the famous Welsh flannels, known all over the world for its sterling qualities. “William Jones, of Bryntirion (Pleasant Mount), my grand father was the eldest of two sons of Richard Jones, Tyddyn-du. After the death of his brother he inherited Tyddyn-du and changed the name to Bryntirion. This large estate was situated halfway between Barmouth, and Dolgelley, five miles from each, close to the public highway. My grandfather at an early age, together with his brother Ellis, were sent to a town in the adjoining county (Carnarvonshire) called Pwllheli, where was located one of the best colleges at that time in the whole country. There they remained many years, where they learned all the classics, and became very well versed in English, Greek, and Latin. They were considered excellent scholars and linguists. My grand father settled down at Bryntirion, and his brother Ellis inherited Bont-ddu, and carried on the business of the woolen mill that was already established, there being a fine waterfall nearby. “My grand father had two sons and three daughters. The eldest son Richard, he set up in the printing business at Dolgelley, one of the first, if not the first printing offices in North Wales. The second son, my father Lewis, learned the printing business with his brother, Richard at Dolgelley. After serving his apprenticeship my grand father started my father in that business at Carnarvon, in the adjoining county, the largest town at that time, and is yet, in North Wales. There my father in that business, raised a large family of children, both my father and mother lived to a good age, and there they were both buried, honored and respected. “My mother was the daughter of Mordeceh (Mordecai) Pritchard and Jane Pritchard of Carnarvon. She was born in London – her parents living there at the time. She was married to my father at Llanbeblig Church on the 13th day of January 1819, and died February 1852 at the age of 54. They care not for storm, cyclone or thunder. Balmy zephyrs bathe the cheek. “Note: This document has not been fully extracted, only that portion that related to Mr. Jones’ Welsh ancestors. What follows is a type written version of Mr. Jones hand written comments that pretained to his own life as a young man in Wales and later about his life as a new immigrant, and subsequently as a naturalized citizen of the United States. “My father kept his printing office up stairs in his dwelling house, and therefore I had a good chance to learn that trade. At the age of 16 I was a pretty good workman, having had little education in the common schools, but learned more at my father’s office than I did at school. Carnarvon being quite a sea-port at the time, I came across many seafaring men, Welsh, English and foreign. I made up my mind to go and see (a) little of the world. Proceeding to Liverpool I found and English brig going to Stettin in Russia and Constantinople (former name of Istanbul, then part of the Byzantine empire.) Returning in the fall to Hull, England. From there I returned home and worked in the office with my father. When spring came I was in Liverpool again. This time I got a vessel going to Constantinople and the Black Sea going the whole length of the Mediterranean Sea. Went on a voyage to the Baltic Sea. After this I got aboard American ships with different ports in Europe and the United States. After following sea life (for) years, I had seen all I wanted. I then returned home and worked for my father and the “Carnarvon and Denbeigh Herald”. In the course of two years a large ship the ROYAL WILLIAM came there to load slate for New Orleans. * The Wesleyan Chapel built by William Ellis Jones of Brytirion was called Pen Nebo. See: The Origin and History of Methodism in Wales and the Borders, by David Young – Morrison & Gibb, Printers, Edinburgh, 1893. See: Pages 589 – 590. ** The free Grammar School at Pwllheli was in operation prior to 1744 when the famed Welsh bard Goronwy Owen became an assistant schoolmaster there. This is the same school attended by brothers William Ellis and David Ellis Jones, although they attended at a later date than when Owen was in residence. The school was respected as providing a high-quality education to the children of Wales best gentry and rising middle class families. It taught the Anglican religion, English, Latin, Greek, Hebrew, and Artithmatic, along with a heavy emphasis on the classics. *** Lewis Evan Jones Jr.’s account of his father is curiously silent on the elder’s politics. Lewis Evan Jones Sr. was famous in North Wales for his radical politics, his rabid opposition to the Anglican church, and his critical (arguably libelous) writing against political opponents published from his printing office in Carnarvon. See Ifano Jones, History of Printers and Printing in Wales, for starters. The following article is a transcription from a photocopied document of unknown origin or date. My copy was obtained from D.L. Bond of Raleigh, NC, great-grandson of the article’s subject, Lewis Evan Jones Jr. of Cedar County, Nebraska. There is no author noted and this is one of several similar documents contained in the unpublished collection of papers associated with Lewis Evan Jones Jr. and his family. I have faithfully transcribed from the original photocopy in my possession. Since no sources are cited, no author is attributed, I would not cite this document as a referencable source. It’s useful to note that there are numerous biographical sketches of Lewis Evan Jones Jr. in this collection, each one differing from the others in various ways. In some instances the different articles offer contradictions to one another on small, but important facts. This article does contain useful information, however care should be taken to verify the details from additional, referencable sources. “Lewis Evan Jones was born in the town of Carnarvon, Wales on the 21st day of February, 1825, and died at his home near Wynot, Nebraska, October 21st, 1910, he was a member of the Wesleyan church of Wales. “As a young man he worked in his (long blank space) printing office in Carnarvon until the age of 16 years, when he went to ocean as a sailor for six years. After this he came to America and landed at New Orleans, where he worked as a printer on the Picayune. From there he drifted to St. Louis, where he established the Christian Advocate Methodist paper, which he afterward sold to the Methodist church south. “In the year 1851 he was married to Louisa Richards, a young lady of St. Louis, of English birth, who resided with her parents there. To this union was born nine children, six of whom remain to mourn his loss. They are Louisa J. Felber of Omaha, William C. Jones of Wynot, Mrs. Margaret M. Lemon of Lincoln, Thomas N. and Albert W. Jones of Wynot and Evan S. Jones, supposed to reside in Alaska. Thirty-eight grandchildren and eleven great-grandchildren also survive him. “Lewis Evan Jones came to Cedar County, Nebraska, in May, 1859, with his wife and three children, and has resided here ever since. 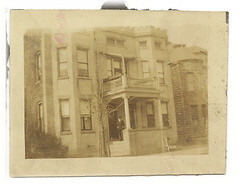 In 1893, Louisa, his first wife, passed to her eternal home. A few years thereafter Mr. Jones returned to his native country and was married to Helen Miles, at Manchester, England, his present wife, who survives him. “Funeral services for Lewis E. Jones were held from the beautiful home at Bow Valley Mills on Sunday afternoon at 2 o’clock. Owing to the beauty of the day and the balmy weather the service was conducted from the front lawn. There under the giant trees which he had planted with his own hands rested all that remained of the sturdy pioneer, while his neighbors and friends paid the last tribute of respect. The obituary and short funeral service was read by Rev. A. Heathcote, and the choir sang a few of the beautiful time honored hymns, The casket was literally buried with floral offerings. The attendance was large and the funeral cortege was undoubtedly one of the largest ever witnessed in Cedar county. The remains were laid to rest in the family lot in Bow Valley cemetery at Wynot. “Away back in the early day, beyond the memory and even the time of the most of us who are here today, in the month of May, 1859, there floated up the Missouri river a steamer with the name Florence painted on her Wheelhouse. There were but few passengers on the boat, but among them was numbered Lewis E. Jones, wife and three children. Few people in those days had the courage to venture so far into the wilderness, inhabited as it was by bands of roving Indians and herds of Buffalo. It was almost a foolhardy undertaking, but the brave pioneers had determined to seek a home and fortune in the new country. As the steamer landed near what became St. Helena later on, there was in the party besides the Jones’ family, Henry Felber and Peter Jenal and families. “When the steamer Florence put ashore these three pilgrim families, there were but two log houses in St. Helena. About a year previous to this Jacob Brauch had arrived with his family, having come by team from Sioux City. He had been sent ahead to prepare houses and erect a sawmill which Mr. Jones had shipped from St. Louis. A few other adventuresome settlers were located at points near St. Helena. The town of St. Helena was surveyed and laid out by the late John H. Charles of Sioux City, and he named it in honor of Helena, daughter of Carl C. P. Myers, the first white child born in Cedar county. 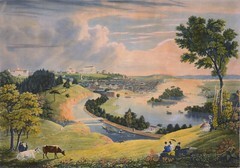 “It is recalled on that memorable day in May, 1858, Lewis E. Jones said to his wife, as the steamer came round the bend of St. Helena Island; ‘Mother, there is St. Helena, your future home.’ Although a brave woman, Mrs. Jones burst into a flood of tears when she first set eyes upon the wilderness which was to be her place of abode and was heartbroken when she realized the privations and hardships that must be endured by her family, after having been raised in a city like St. Louis. No churches, no schools and very few friends and neighbors, except the red men of the forest. It was indeed a gloomy prospect. “All the hardships and privations attendant upon the early pioneers was passed through by there. 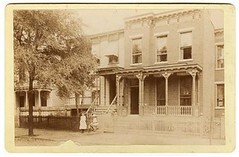 A month after their arrival, a terrible storm swept over (extra long blank spot here) roof and two rows of logs from their domicile, Mrs. Jones was determined to return to St. Louis, but all their earthly possessions were in the new country and to do so would have meant ruin and her husband prevailed upon her to remain. It was a total loss, but neighbors rallied to their support and the mill was rebuilt. “Early in the sixties, settlers began pouring in and traffic on the river increased to such an extent that trading became profitable for the new settlers, and Mr. Jones dealt largely in lumber and wood, and began to prosper. The coming of settlers and the building up of the country gradually improved the conditions and the early settlers became more contented. “Lewis E. Jones has led a busy life and has seen the good as well as the bad side, but he mastered all the difficulties and succeeded in securing a goodly portion of the world’s good, so that his declining years could be spent in peace and comfort. The following article is a transcription from a photocopied document of unknown origin or date. My copy was obtained from D.L. Bond of Raleigh, NC, great-grandson of the article’s subject, Lewis Evan Jones Jr. of Cedar County, Nebraska. There is no author noted and this is one of several similar documents contained in the unpublished collection of papers associated with Lewis Evan Jones Jr. and his family. I have faithfully transcribed from the original photocopy in my possession. Since no sources are cited, no author is attributed, I would not cite this document as a referencable source. It does contain useful information, however care should be taken to verify the details from additional, referencable sources. At the end of the article the author details a listing of descendents which is nearly incomprehensible. I have attempted to decipher this list and have placed it into a more standardized format following the article. I cannot be certain that my interpretation is correct. If you have more accurate information from a reliable source, I encourage you to contact me ASAP with corrections and citations. I have also included notes immediately below the article (see asterisks). “It was June of 1858 that Lewis E. Jones of St. Louis, Missouri, first came to Cedar County. Being impressed with the available water power and thousands of acres of good timber, he moved his wife and three children to St. Helena in May, 1859. There he operated a sawmill and the county’s first newspaper. “He began the construction of a flour mill in 1867 on land he had purchased along Bow Creek. The Indian name for this creek was Petit Arc River* meaning Little Bow. This mill was completed in 1868 and was named the Bow Valley Mill**. The main structure stands today much as it did when completed. Oak timber was used was used and the frame was mortised and pinned with wooden pins. No nails were used. “Flour and milled products were not only supplied to the settlers as far away as Niobrara and Souix City, but a large volume was shipped by steamboat as far west as Fort Benton, Montana, since many big contracts were for the government. “This mill is located about one and one-half miles north of Wynot. Meanwhile, a house, which was called Arc Lodge, was built across the road from the mill. Here in 1869 he moved his family from their home in St. Helena. The three children born in St. Louis were Louisa, William C. and Margaret. The five boys born in St. Helena were Evan (the first while child born in Cedar County), Thomas N., Lewis E., Frank and Albert W. As they grew older they gradually left home to establish homes of their own, except the youngest, Albert W.
“In 1893 Albert W. married Mattie C. Ferber and the house was made into a duplex with one part occupied by the newly-weds and the parents in the other. Albert resided there until his death in 1948. Mrs. Mattie C. Jones, his widow, whose father was one of a group that came to the St. James area in 1856-57, still maintains this home as her legal residence, although, because of her health, much of the later years have been spent in New Mexico with a daughter. A son, Edward, and wife share the ancestral home. “John Jones of Wynot, son of William C. Jones, grandson of Mrs. Jacob Lemon, and son of her daughter, Margaret, (both deceased) who lives at York, and grandchildren of Mrs. Lemon, children of her son, George (also deceased), daughters, Peggy and Georgia, both of Lincoln; children of Lloyd Jones, deceased, (A son of Thomas N. Jones), Dorothy Heine, and eight children of Omaha, Betty Betty Garvin and four children of Wayne, and Daryl and four children of Wynot. “Children of Lewis Evan Jones (deceased) are Mrs. Marjorie Deist of Wynot, daughter of Hazel Jones Eby; Mrs. Joe Noecker of Hartington and four children, a daughter of Mrs. Mary Jane Rapp. * “Petit Arc” is, obviously not Indian. It is French. French trappers and traders from Canada settled/visited this region well before settlers began moving in from the south and east coast of the United States. **About one and a half miles below St. James, on Bow Creek, is Bow Valley Mill, built by Lewis E. Jones in 1867. It is eighty feet square, three stories high, contains four run of buhrs and cost about $8,000. Attached to it is a circular saw-mill. There is also a flouring-mill about ten miles above St. James, on Bow Creek, called Paragon Mills. It was built by M. M. Palmer & Co., of Yankton, costing about $25,000. It is sixty feet square, three stories high, and contains two run of buhrs. Source: Andreas’ History of the State of Nebraska, CEDAR COUNTY, Part 2, St. Helena. From the same source: LEWIS E. JONES, proprietor Bow Valley Mills, P. O. St. James, is a native of Wales. In his early years followed the sea, having made several voyages to the Baltic, Mediterranean and Black Seas, also made several between different ports of Great Britain and those of the United States. After leaving the sea, he worked on several newspapers in New Orleans. In 1848, he came to St. Louis, Mo. ; published the St. Louis Christian Advocate for six years, having formerly worked on the Missouri Republican. In 1858, came to Cedar County; laid out the town of St. Helena and published the St. Helena Gazette. This paper, however, was of short duration. He built a steam saw-mill, which he ran about ten years. This mill is now the property of J. J. Felber. In 1869, he removed to his present locality, and built these mills, consisting of a grist and saw mill. These mills are run by water and are the finest in Northern Nebraska. Mr. Jones represented this county in the Territorial Legislature; has also been County Commissioner most of the time since coming to the county. He owns several hundred acres of land and formerly owned the land where St. Helena is now located. ——— Gen 4] Daryl Jones – married – ? Lewis Evan Jones Junior’s Naturalization Statement. Click on image to view full-size. Lewis Evan Jones Junior’s Naturalization Certificate. Click image to view full size. 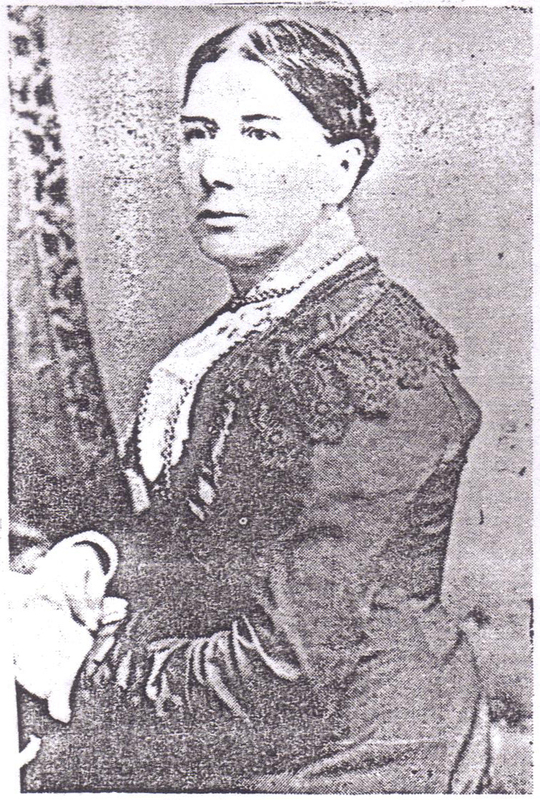 Louisa Richards Jones Wife of Lewis Evan Jones Junior and mother of all his children. Born May 1, 1832, Bristol, England. Married, June 11, 1850, St. Louis Missouri. Died January 8, 1913, Arc Lodge, Wynot, Nebraska.